Showing recent results 466 - 480 of 4500 products found. 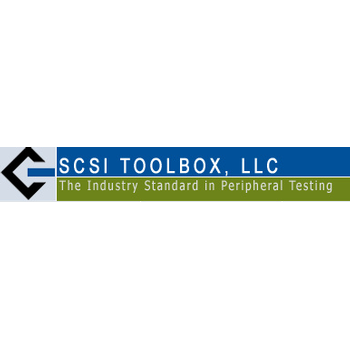 SCSI Toolbox LLC is proud to announce the Disk Manufacturing Module, joining a decade of real-world drive testing experience with input from hundreds of customers to bring the best new testing tool to the disk manufacturing and integration marketplace. 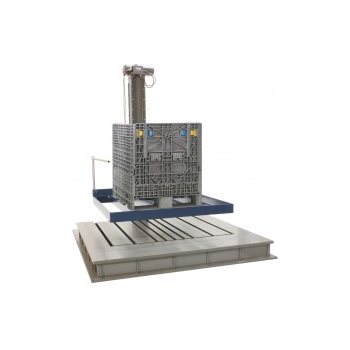 The PDT 700 facilitates precision drop testing of large test items weighing up to 1540 lbs. (700 kg). 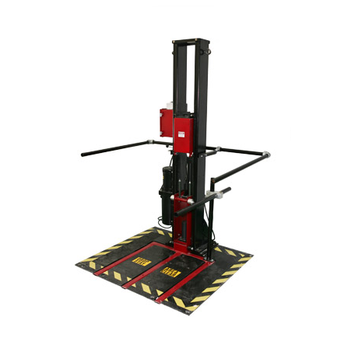 Similar to the PDT 300 design, the larger PDT 700 utilizes a welded steel drop carriage. Standard drop height range is 48 in. (122 cm). The drop carriage is raised and lowered by an electric hoist. 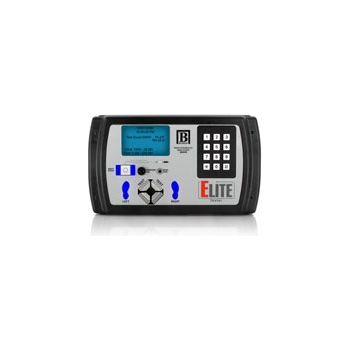 The PDT 700 is operated by handheld controller. AccuDrop 125 - L. A. B. Equipment, Inc.
Model AD-125 is 1 of 3 models in the ACCUDROPTM Series. It helps determine the ruggedness of packagesand the effectiveness of their interior cushioning when exposed to impact during material handling. Theeffects of dropping are easily duplicated in your laboratory using the controlled and precise flat, corner, andedge drop tests. MAXDROP Series - L. A. B. Equipment, Inc. Introducing the MAXDROP . Extra large free-fall drop testing is now available. 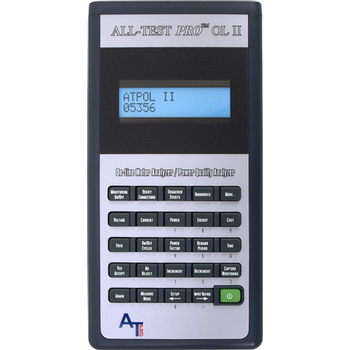 Designed to provide repeatable drop testing on the largest test products and packages ever. You won''t have to settle for hooks and chains any longer! 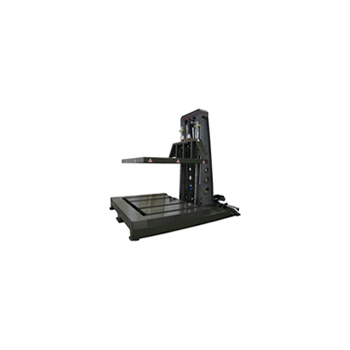 The PDT 80 features an electric hoist to raise and lower the drop leaf assembly and provides infinitely variable drop heights. 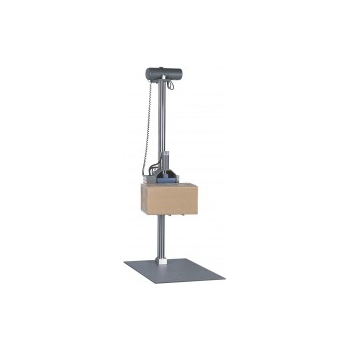 The standard drop height range is 12 in. (30.5 cm) to 72 in. (183 cm). 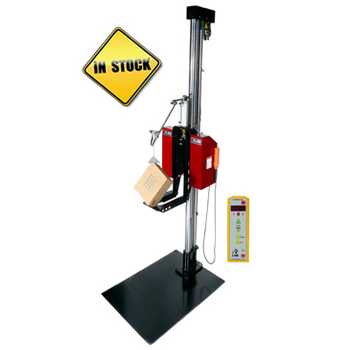 Optional system configurations are available for tests that require more or less drop height. 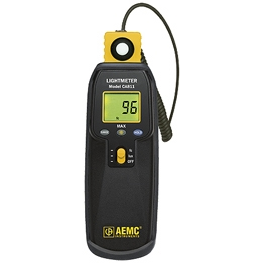 The PDT 80 can handle test items weighing up to 177 lbs. (80 kg). 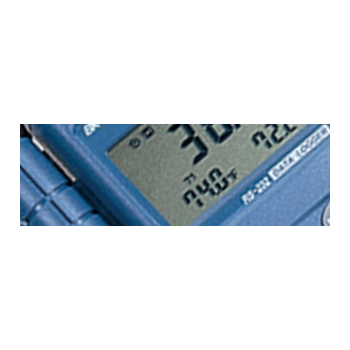 The PDT 80 is operated by a handheld controller and also includes an optional footswitch. AccuDrop 160A - L. A. B. Equipment, Inc.
Model AD-160A is 1 of 3 models in the ACCUDROPTM Series. It helps determine the ruggedness of packagesand the effectiveness of their interior cushioning when exposed to impact during material handling. 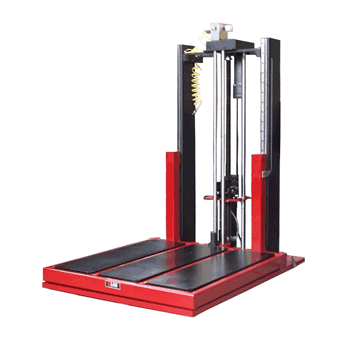 Theeffects of dropping are easily duplicated in your laboratory using the controlled and precise flat, corner, andedge drop tests. AccuDrop 500 - L. A. B. Equipment, Inc.
Model AD-500 is 1 of 3 models in the ACCUDROPTM Series. It helps determine the ruggedness of packagesand the effectiveness of their interior cushioning when exposed to impact during material handling. 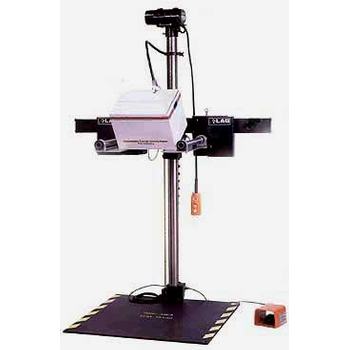 Theeffects of dropping are easily duplicated in your laboratory using the controlled and precise flat, corner, andedge drop tests. KD 688 A - King Design Industrial Co., Ltd.
PLC control, linear motor fast speed control the height setting.Alarm warning before testing.Light support structure decreases the test impact.Support dropping very smooth with dual lubrication guide.No second impact.A data acquisition for the impact wave record (Option).Non maintenance request for continue operation.According to ISTA, ASTM .....etc international standard.Equipped edge & corner holder. Here's the DMXter 2U, a Lil'DMXter2 for bolted down applications. 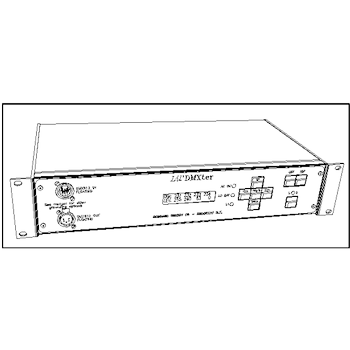 All the hardware and software features of the standard Lil'DMXter2 in a 2U 19" rack box, plus many new features.The user controls, the XLR connectors, and the LED illuminated LCD display are on the front panel. The 2U is equally at home as the back up controller in a theatre or TV studio, running a trade show booth, the background lighting for themed entertainment or as the built in test controller in a touring show DMX distribution rack. 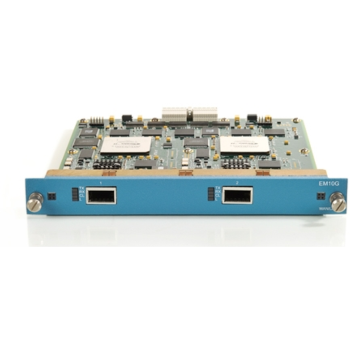 Its increased I/O capabilities will make it a useful addition to your test bench.